Iron is part of hemoglobin molecules and affects its chemical properties. Reserve iron in the body is bound to its transporter protein transferrin or ferritin, which serves as a reservoir of iron in the tissues. Ferritin level reflects the amount of total body iron. Transferrin is one of blood plasma proteins, that binds and transports iron in the bloodstream. We evaluate the binding capacity of serum iron, which determines the maximum amount of iron, transferrin can accommodate. Another way can be to examine the amount of iron is the measurement of serum potassium. This value is of the following three methods (serum transferrin, ferritin and serum iron) are the least reliable. Serum iron is increased in men, and its surface may also increase inflammation, which occurs in the body. Laboratory values for increased iron concentrations are as follows – serum iron level is increased, the contrast is decreased serum transferrin. Either excessive iron intake (food) or, conversely, the organism is insufficiently processed (poor plasma protein binding) or may be increasingly absorbed from the gastrointestinal tract. As already noted above, iron is part of the red blood pigment, therefore, logically, if occurring in the organism in increased disintegration of red blood cells occurs in the blood significantly higher value of iron. If this is the situation, taking medication name chelates, which have the ability excessive free iron in the blood vychytat and expel it outside the body. Another reason is a hereditary disease, which is called hereditary (hereditary) hemochromatosis, which is being blamed for the increased absorption of iron from the gut. Surely everyone knows the phrase bleed. In technical terminology, this is called venipuncture and consists in the fact that the patient suffering from excessive concentration of iron in the blood, removes venous (venous) blood. The essence of this process is the quantitative collection of hemoglobin, blood proteins, binding and excessive iron and serum iron directly. Another way to treat excessive concentration of iron in the blood, is the use chelates – as already mentioned above, are compounds that have the ability to scavenge free iron, firmly establish themselves and ruled him out of the body either urine or faeces. Whether increased levels of iron caused by any of the above mentioned disease or bodily malfunction of the system, the excess iron by the body very harmful. 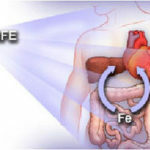 Iron is stored in the tissues, particularly in pancreas, the liver, the heart, where it operates considerable problems. Another possibility is the storage of iron in the skin, which gives the typical bronze coloration and therefore speaks in this case of bronze diabetes. It is really important that this failure was treated as the most severe cases often end in death.